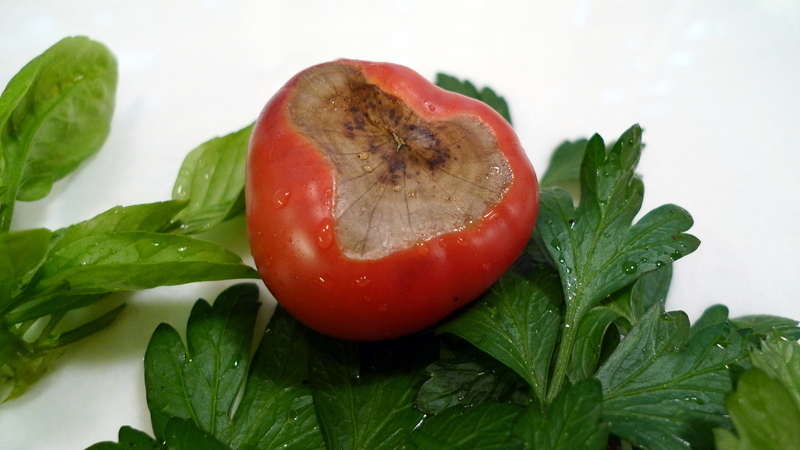 This entry was posted in Uncategorized and tagged gardening, Graden, tomato by christao408. Bookmark the permalink. Ah, that looks so juicy and delicious. It’s so nicely framed with the basil and parsley. I always enjoyed the taste of a freshly harvested tomato. I love fresh tomatoes – learned as a youngster to have tomato sandwiches for a meal. Homemade bread and home grown tomatoes. A feast for a youngster and something I still eat on occasion. Those pictures look really nice, Chris – well done. 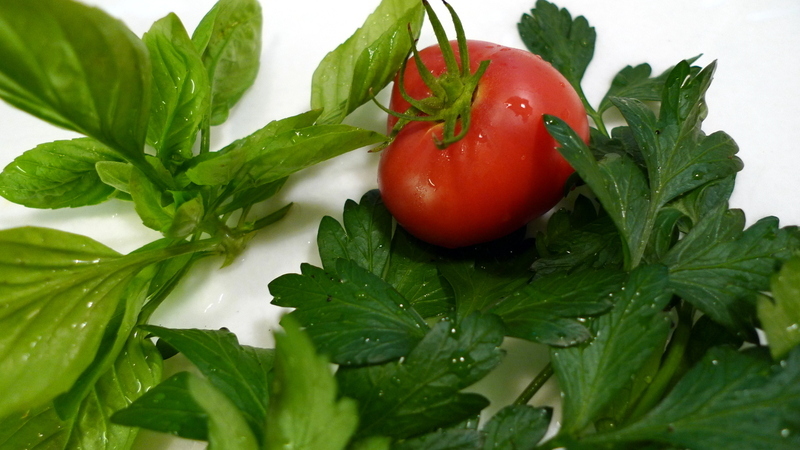 I really like tomatoes and basil and that’s why I like Italian food, too. You are too honest – I would have never known from the first photo. I hope the tomato was a tasty treat! yum, looks delicious! maybe i should try planting some tomatoes this spring… hmm… the problem is i hear the rats love to eat them so i would have to really keep a good eye on my plants! I bet it tasted terrific. a beaut! bet it tastes great with the basil. @rudyhou – Now all I need to do is to make some more homemade mozzarella cheese and I have a Caprese salad all ready to go! @ZSA_MD – @decembriel – Sweet and juicy, the way tomatoes rarely are here in Thailand. @kunhuo42 – Actually, a squirrel somehow made his way up to my balcony and nibbled on one eggplant and one tomato. D’oh! That said, tomatoes are well worth growing. @murisopsis – Honesty is always the best policy. @stepaside_loser – They are a great combination. I love the idea that the things growing in my garden go well when cooked together. @Fatcat723 – Homemade bread and homegrown tomatoes make for a fantastic sandwich. Add some bacon and lettuce and you’re really onto something! @ElusiveWords – Growing up, I always thought the expression “you can taste the freshness” was just marketing. In truth, though, you really can tell the difference when you are eating something that has been harvested very recently.